A few weeks back, I wrote a post, dedicating it to my father who passed away 10 years ago. Dad passed from a Cerebral Hemorrhage. My Dad's Mom passed away at 72 years old from Alzheimer's. Needless to say, brain health has always been something of high importance to me. 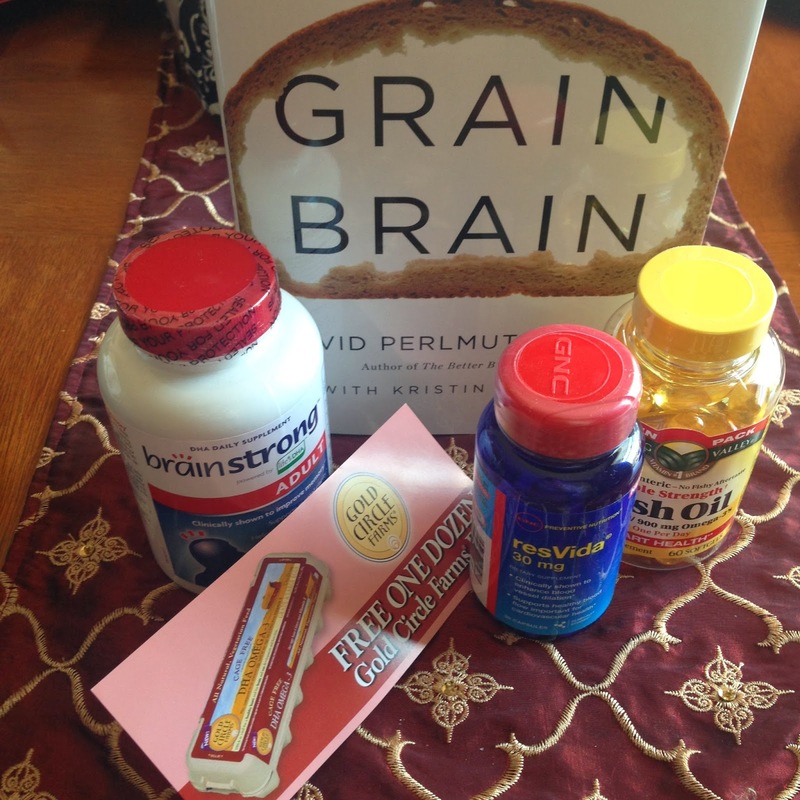 I was introduced to a book called Grain Brain written by Dr. David Perlmutter, MD thanks to my affiliation with Fitfluential. Dr. Perlmutter happens to be a medical advisor to Dr. Oz. Grain Brain is about lifestyle changes you can make today to keep your brain healthy, vibrant and sharp. Grain Brain shows you that the fate of your brain is not solely based on genetics, but in the food you eat. According to Dr. Perlmutter, the cornerstone of many brain conditions is inflammation, which can be triggered by carbohydrates (especially gluten and high sugar). Did you know the human body needs 200 to 300 milligrams of DHA daily for a healthy brain? Most of us consume less than 25 percent of this target!! Although I try to eat good fats daily, I know I am no where near hitting that milligram mark. With the help of ResVida, Omega-3 Fish Oil and DHA, you can hit that daily intake mark. Your brain consists of more than 70% fat and needs good fats to stay healthy. I am always looking for ways to incorporate good fats into our diet. DHA omega-3 found in fatty fish helps reduce inflammation and certain vitamins, notably A, D, E and K, require fat to get absorbed properly in the body. Week 1 – Food: Shifting your body way from relying on carbs for fuel and adding brain health supplements. ResVida will enhances blood vessel dilation and supports healthy blood flow, Omega-3 Fish Oil helps maintain heart, vascular health, and brain health, and DHA a polyunsaturated omega-3 fatty acid the body needs and important for brain health. whole sweet fruits – berries, melons, pineapple, etc. Here is a recipe from the Grain Brain book. This sounds delicious! Add butter or olive oil to skillet over medium high heat. Serve eggs over a bed of frisee and top with cheese, salsa, and cilantro. Season with salt and pepper. What do you think about the Grain Brain Challenge?